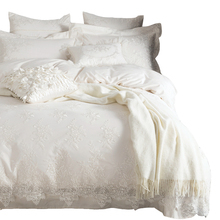 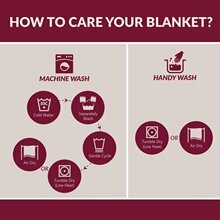 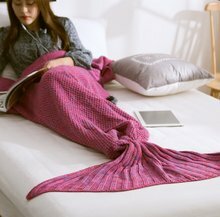 Material: 50% cotton and 50% polyester, light weight and super soft! 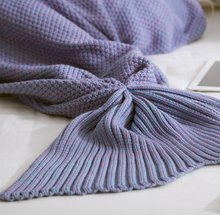 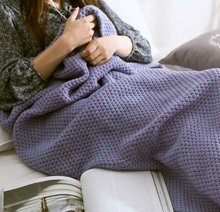 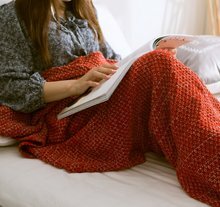 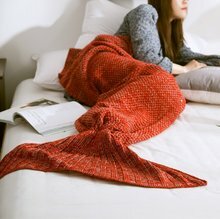 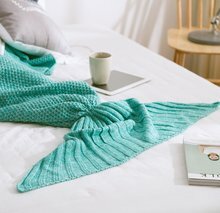 Soft and cozy precision knitting mermaid tail blanket , Eco-friendly and Skin-friendly perfect for kids or adults wrap. 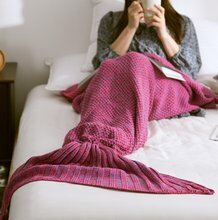 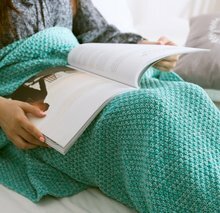 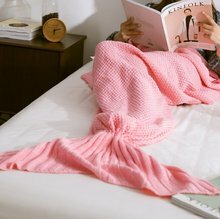 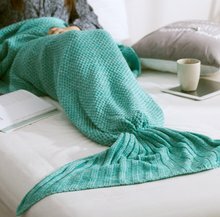 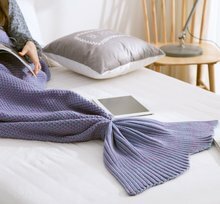 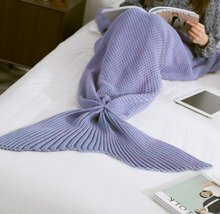 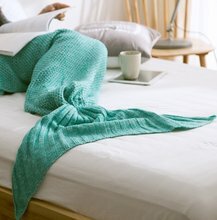 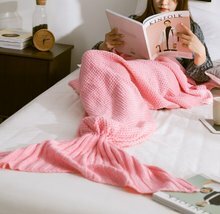 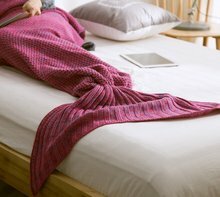 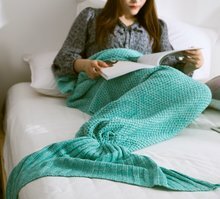 This mermaid tail blanket comes in different colors and are great for snuggling in and watching TV. 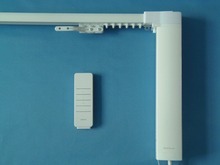 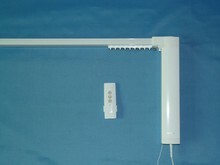 Warm enough to cold weather also a great addition to cool air-conditioned room in Summer.